Every home needs to have a basic sewing kit in it, which contains basic sewing supplies, to deal with the routine stuff like sewing on buttons, sewing hems and other simple tasks regarding mending clothes. Now, I'm not talking about elaborate sewing machines and equipment here, unless you enjoy sewing. 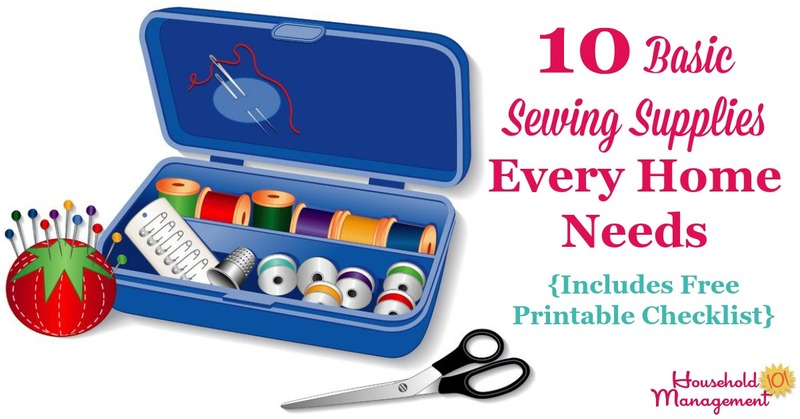 The list below is just for those who want to be prepared when the inevitable popped off button happens, or a seam comes undone, or a beloved stuffed animal needs some emergency surgery (i.e., sewing the poor little things stuffing back in). You can even get a free printable version of this checklist by scrolling down to the bottom of this page! 1. Needles, in assorted sizes. Although the package is a bit more expensive I prefer the plastic round packages which close completely, instead of the little matchbook packages of needles, because I tend not to lose them as easily. 2. Thimble, for protecting your finger while hand sewing those quick mending jobs. I don't personally use a thimble, but many people swear by them. 3. Needle threader, to help you thread your needle. Again, currently I don't use one of these but I believe one day I probably will need to. A needle threader is a flexible wire which has a diamond-shaped opening which you can easily thread, and then the opening closes when you push it through the eye of the needle, thereby helping you thread the needle. 4. Thread in small quantities, in various colors. I have found that having small spools of lots of colors is actually very helpful because my kids dress in lots of colors, and I can always find a thread that matches pretty well, but I don't have to keep a lot of it on hand. 5. Scissors for cutting thread. If you are a serious sewer you will have scissors dedicated just for cutting fabric, and they will be of pretty high quality (and price). However, for a basic sewing kit, where you are just cutting thread for mending and repairs any old pair will do. 6. 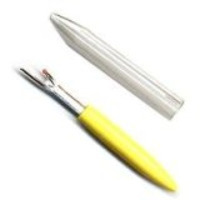 Seam ripper for, what else, ripping seams and cutting thread which is sewn into the fabric. Never heard of a seam ripper? Not all basic kits contain one, but in my opinion they should. The picture next to this shows a seam ripper. Basically, it is used to remove thread from a seam without damaging the fabric, because of its two pronged design, with a sharp blade in between. The short bulbed prong protects the fabric from being cut along with the thread. 7. Extra buttons for when the one on your clothing falls off. 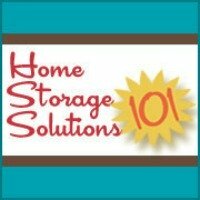 Ideally, once you set up your home's basic sewing kit you will have a little container in there where you will place all the little extra buttons that come with the clothes you purchase. You keep those right? Well, you won't need them all for the clothing it came with, and this will eventually build up to a nice little collection to choose from when you need a button. Until then, though, you can purchase some generic extra buttons for those emergencies. 8. Hooks and eyes, and snaps. The reason to have these is the same as with the buttons above, when you lose one and need to replace it you have others on hand. You can also stock zippers and elastic if you want to get fancy, but since these things require more advanced sewing techniques you don't need them if you don't know how to put them on or in the garment. However, if you can sew on a button you can also replace snaps and hooks and eyes. 9. Safety pins, which are one of my favorite sewing cheats, especially in a pinch. You can easily fix a hem temporarily, for example, with a safety pin if you don't notice the problem until you need to get out the door. 10. Straight pins, to help hold seams in place while you are sewing. I prefer the pins with bright plastic balls on the non-pointed end, because I can see these better while they are in the fabric, meaning I am less likely to lose one in the fabric and poke myself later. 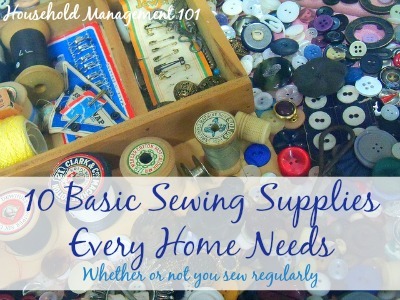 Above I listed the basic supplies I believe every household should have for its most basic sewing needs. 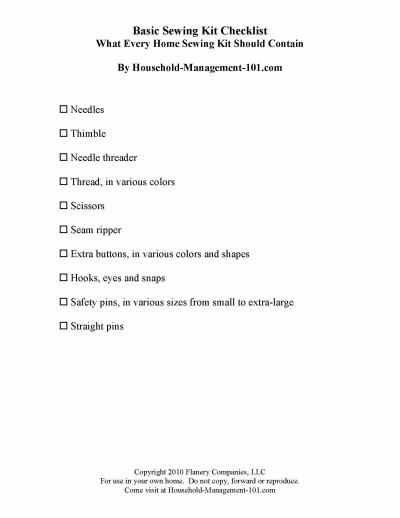 Below I have recommended some products, some or all of which can be useful for putting together your home's basic sewing kit. The main item is the Simplicity Beginner's Sew Kit which contains appropriate quantities of almost all the items listed above, including a seam ripper. Also featured below are a couple additional items I listed for your sewing kit which are not included within the recommended Simplicity kit.